Kumar Travels provides excellent chauffeur driven Car Rentals in Nagpur for both business and leisure. Kumar Travels is a professionally managed organisation, having a team of experts, well versed with all the aspects of Travel and Tourism Related Services. We have been providing Car Rental services from business executive to the tourist and dedicated to give the best of experience in your travel. We have an amicable and informative local driver who will be able to navigate and enjoy a scintillating conversation instead of having to focus on the traffic. Our car rental services are cost-effective and time saving that will sure to please you. We have some special cars to rent for couples and honeymooners in different colors and sizes to match your needs. There are cars that will truly make you feel romantic with pink and rose red cars that you are sure to appreciate. To rid you of the hassles during your trip, we offer number of car rental packages that can save you much time and help you schedule your plan accordingly and comfortably. 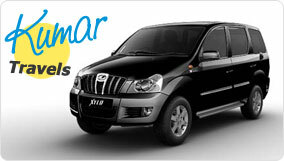 For packages, questions or comments for Car Rental Nagpur contact us NOW!